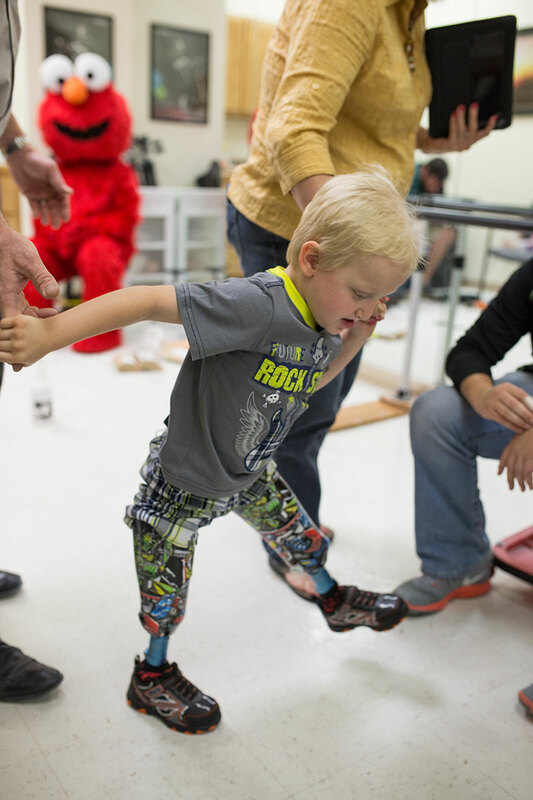 Landon (better known as Bear) is a bundle of energy, and we are excited and proud to be a part of his life and progress! KWCH News has been here several times to help tell his story – this time for the big reveal. Bear loves Transformers. He’s always got some with him when he visits our office, and we made sure he’ll always have them with him wherever he goes! 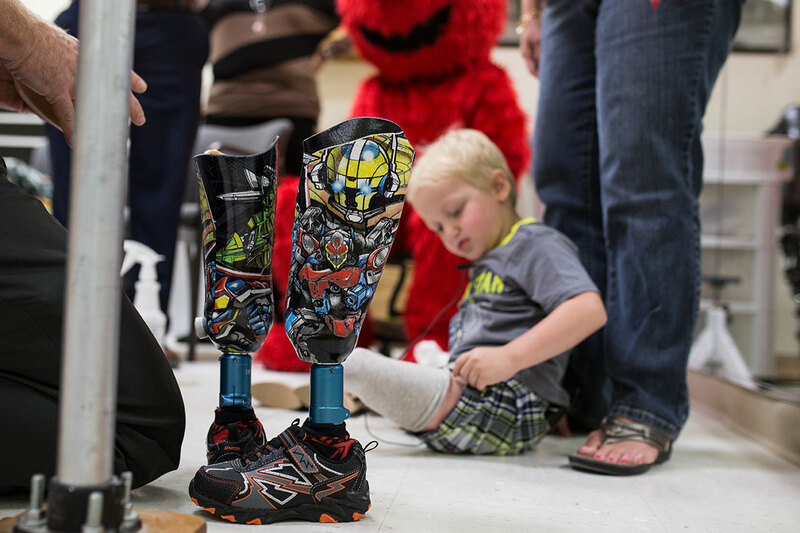 From his custom-made Transformer-themed prosthetics to the built-in magnets that will hold the toys for him, Bear is all set. 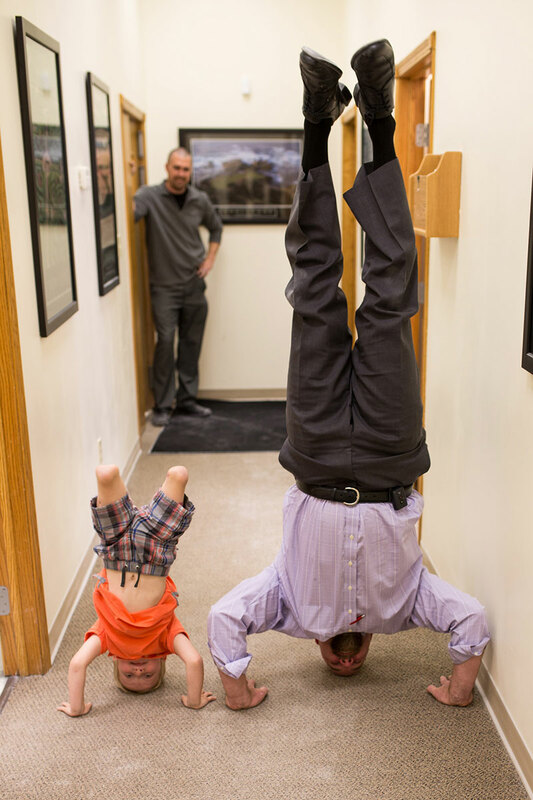 It’s not all fun and games, though – Bear makes sure Steve gets his exercise, too! But there’s still nothing that compares to seeing him take his first steps in his new legs! All of us at Peeples are proud of you, Bear! We’re looking forward to all the amazing things you’ll do, and we are grateful to be a part of them.